This ‘mostly’, read like an afterthought, hints at the entire novel’s focus—the good wife as a platform for exploring patriarchy, free will and the psychology of adultery. Anna Benz is the trademark oppressed woman more commonly found in Flaubert and Tolstoy than in the contemporary novel. Living in Switzerland with her gruff, strict husband Bruno and her three children, American expat Anna has no driver’s license, no job and no money of her own. She only has a slight grasp on the language; Switzerland itself is an oppressive character. Bored and desperate for some control, Anna embarks on a series of intense sexual affairs with three different men: a Scotsman, an American and a Swiss. As Anna implies constantly, this is the only power she feels she has over her husband. And it is the love of this power which tips the dominos, hurtling the narrative down a path of secrecy towards the presumed reveal. This path is punctuated with short conversations between Anna and her psychiatrist, Doktor Messerli. These exchanges introduce the theme of fatalism versus free will, clarifying the difference between words such as ‘fate’ and ‘destiny’ as well as ‘obsession’ and ‘compulsion’. Having spent most of the book deciding whether she could have stopped herself from having affairs, Anna decides that it was fate. That becoming an adulteress was in her all along. But here’s the paradox: by believing that her one act of free will (adultery) is out of her control, Anna effectively strips herself of that same free will. It is her agency of belief which revokes her agency. But in following the thought that her adultery is another helpless compliance, one must consider compliance not just to fate, but also to patriarchal double-standards. History has often claimed that a man having a mistress is much more socially acceptable than a woman having a male lover. It is this standard which gives Anna’s lovers—Archie, Stephen, and Karl—control over Anna, and of course they expect her to submit. If Anna had refused, then, and stayed loyal to Bruno? Would this have been her definitive act of agency? Or would she only be backing away into another male-imposed stereotype of the meek, loyal housewife: a stereotype after which the book is named? A proper analysis of Anna would be far too long for this review. Essbaum herself took a whole novel, and I suspect she barely scraped the surface. But after all, what would good storytelling be without complexity? It does, however, make the book slow and difficult to engage with at first. Anna’s retrospective narration stagnates the first few chapters, and I spent the first hundred or so pages waiting for something to happen. Despite the snappy intrigue of the opening sentence, it is not an immediate page-turner. I also found myself deeply agitated by Anna herself; by her refusal to confess to Doktor Messerli, and by her prioritising. She routinely puts going to meet lovers over taking proper care of her children. Granted, as these unlikeable traits of Anna’s do ultimately have dire consequences, we are obviously supposed to disapprove of her. But I felt more like putting the book down than finding out how she would pay for it. Whilst this describes perfectly how Anna views herself in terms of her adultery, it is also an apt description of the book. Sadly, I will remember this novel not for its poetic contemplation of free will or for its depiction of patriarchal oppression, but for its slow beginning, and how it would gain my interest only to lose it again a couple of chapters later. The mistakes are what will stay with me. Nevertheless, I am glad I read it. 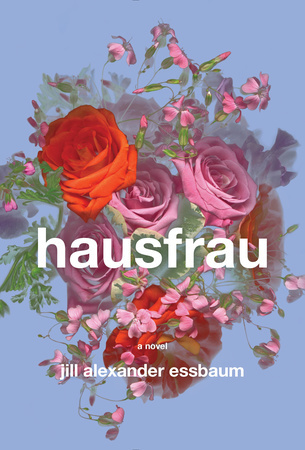 Hausfrau is a thought-provoking novel, mostly. This entry was posted in Arts, Books and tagged adultery, book reviews, books, lip lit. Bookmark the permalink.